A British Airways Boeing 757 passes over Mayfair on its final approach to London Heathrow Airport. A break in the clouds gives a welcome view of the capital to all those on board. 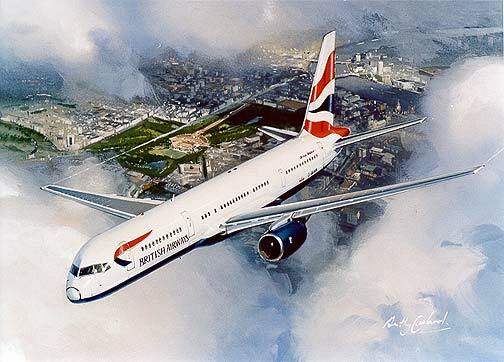 The Boeing 757 has been in service with British Airways since the early 1980s. A limited edition of only 250 signed and numbered by the artist Anthony Cowland G.Av.A.